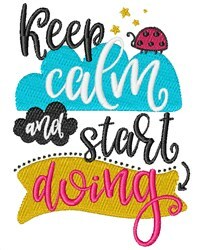 Keep calm and stitch this onto your next project! It will be perfect on a tee or blouse! 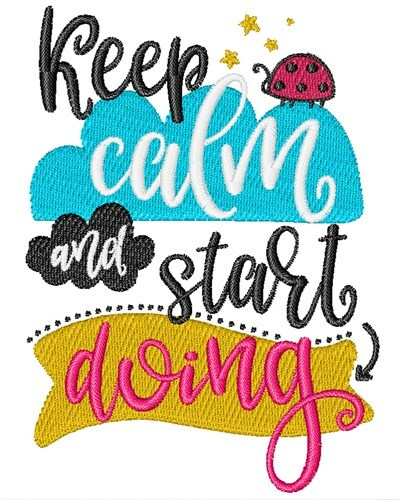 Easy Embroidery is happy to present Keep Calm & Start Doing machine embroidery design which has 13482 stitches and is [73.12 mm x 101.46 mm] large. If you would like to view more embroidery patterns please search on our embroidery designs page.